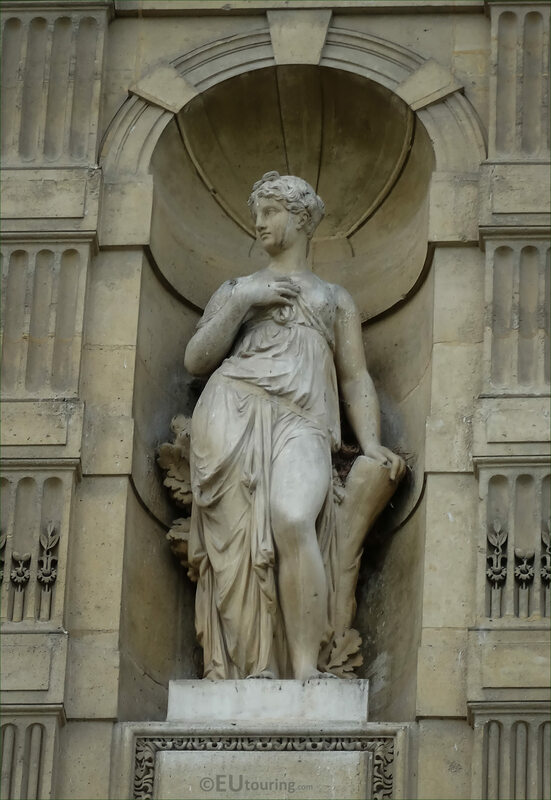 Again we were looking at the Aile de Flore wing of the Musee du Louvre, when we took these high definition photos showing the statue called Nymphe, which was sculpted by Jean Jules Bernard Salmson. 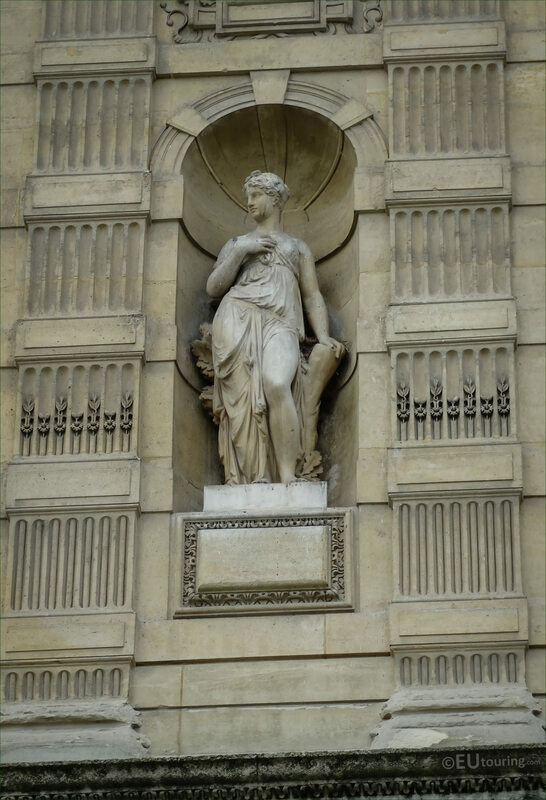 So this statue of Nymphe, which translates in English to Nymph, is located on the second level of the Aile de Flore facade, if you are looking at the wing of the former Palais du Louvre from the Cour du Carrousel courtyard, which is located in the 1st Arrondissement of Paris. And this was designed as an allegorical statue depicting a nymph in Greek mythology, who were generally regarded as lesser than Goddesses, but still divine spirits, and are normally depicted as young, beautiful women. Now the Nymphe statue was produced by Jean Jules Bernard Salmson, who was born in Paris on 18th July 1823 to a medal engraver, and he entered the Ecole des Beaux Arts to become a French sculptor. Then later Jean Jules Bernard Salmson first presented his work at the 1859 Paris Salon for French artists, and started receiving commissions for different ornamental statues on various tourist attractions around the city including The Louvre, the Palais Garnier, the Musee d'Orsay, etc and was awarded the Legion of Honour in 1867.